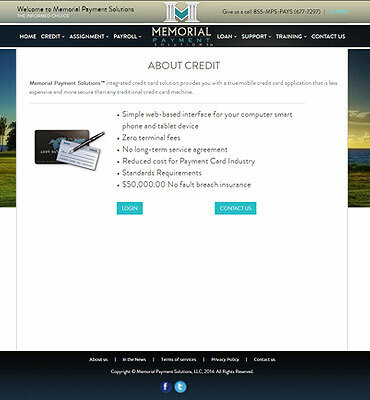 Memorial Payment Solutions, LLC is a single source platform which provides solutions for at-need funeral payments. 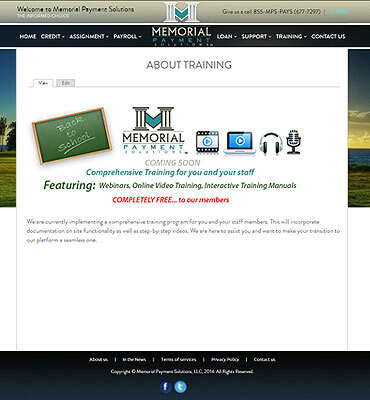 The platform is intuitively designed with funeral directors involved in its development. 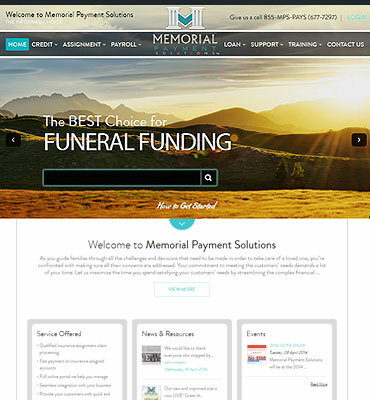 It helps users to get the financial support services for paying the funds to organize the funeral events of their beloved. This platform allows offering financial options to the families who are unable to pay through more traditional methods. 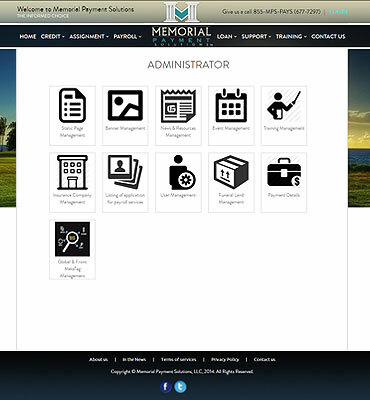 The main objective of the client for developing the application was to create a platform where funeral members and funeral home can easily contact and communicate with each other to resolve the financial concerns. Our team continuously researched to make the features compatible as per the desired frameworks and technologies. The client wanted to be the leading provider of insurance assignment funding for funeral homes and members in the USA. To achieve the client's objective, we employed a dedicated team to provide timely reporting by an account manager, project manager, senior designer, HTML developer, senior developer, testing analyst and a business analyst. An Agile methodology was used for the execution of this project. Backend The backend was developed that created utility for the frontend. We employed a combination of database and server-side language that could run on web servers and cloud-based servers. We worked on content management system development, deployment and maintenance. We worked to ensure that the backend was a robust platform that could support the features and functions for frontend. The application was developed keeping the client's requirement in focus so that the funeral funding could be released to the family members or claimants within minutes to fund the funeral costs of their loved one. 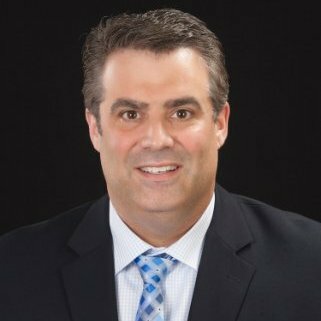 Flexsin's Team is hardworking and conscientious. They are passionate about Technology, Customer Serv.. The major focus while developing this application was on assignment process wherein user can select the insurance company to claim the maturity amount after the death of their family member. 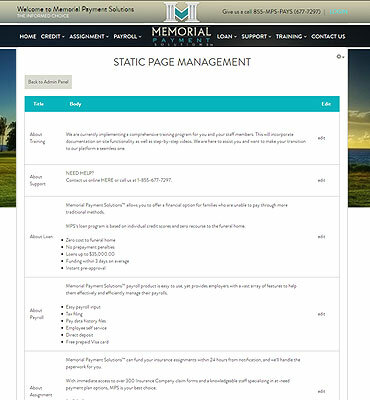 We have developed a process through which "Funeral members" can submit the assignment regarding their loan, insurance, FD and mutual funds to claim the maturity amount through PDF write-up forms online e.g. online passport form submission. 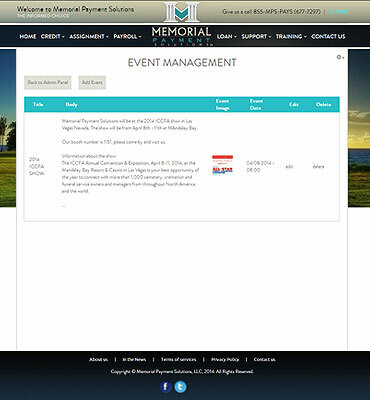 After the completion of process, support section generates an auto-ticket to keep the status track. Flexsin developed a simple and user-friendly application as per the client's expectations and requirements. The end product we delivered we provided various features to clients where they can get the solution for their financial concerns. It was really exciting working with the client. We did our work with full dedication and completed our task within deadline.